Prison officers are an essential part of the justice system. But between 2010 and 2016, prison officer numbers dropped by nearly 25%, while the numbers of offenders in custody increased. The Ministry of Justice (MoJ) and the department’s executive agency Her Majesty’s Prison and Probation Service (HMPPS) set up a small, multi-disciplinary team to recruit thousands of new prison officers to meet targets set out in a November 2016 White Paper. Just over a year later, it is close to meeting its objectives ahead of time and under budget. 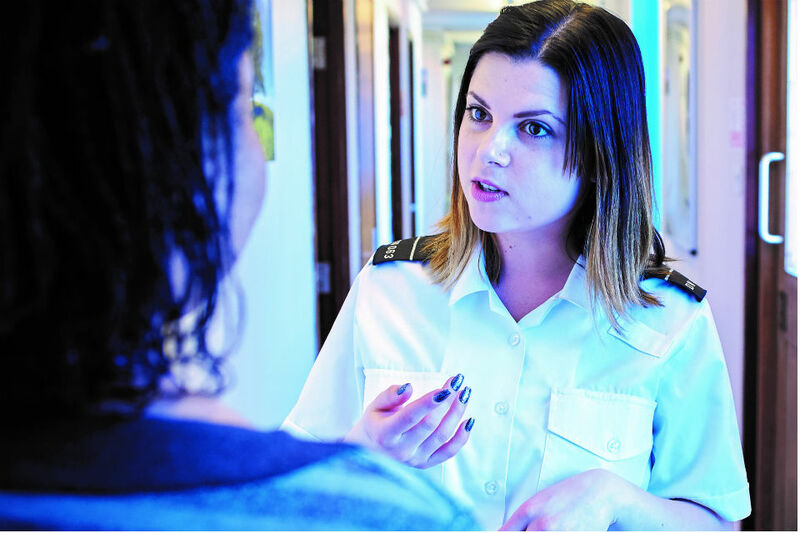 A key commitment in the White Paper, ‘Prison Safety and Reform’, was to gain a net increase in the prison officer workforce of 2,500 by December 2018. The circumstances were hardly auspicious. The launch of the White Paper coincided with a number of prison disturbances. The pressure to recruit additional prison officers to keep prisons safe and reduce re-offending rates was acute. In February 2017, MoJ set up a recruitment team based on three main principles. It brought together HR and marketing specialists, analytics professionals, project managers and operational staff in a 30-strong team. This arrangement contributed to a sense of shared purpose and responsibility, and a focus on outcomes. In purely practical terms, working together in the same location made it possible to work more quickly, with instant responses and less email traffic. The team reported to the MOJ executive committee every fortnight. Weekly feedback to stakeholders used a specially created, comprehensive activity dashboard, with infographics to make the data easier to understand. The leadership team prioritised rapid learning and improvement; the gathering and use of data to solve problems; managing suppliers by bringing them into the team; motivating the team; and building assurance. The governance structure allowed rapid decision-making and built trust. For example, the team had a small management board that regularly reviewed progress, and meetings with ministers at least once a week. 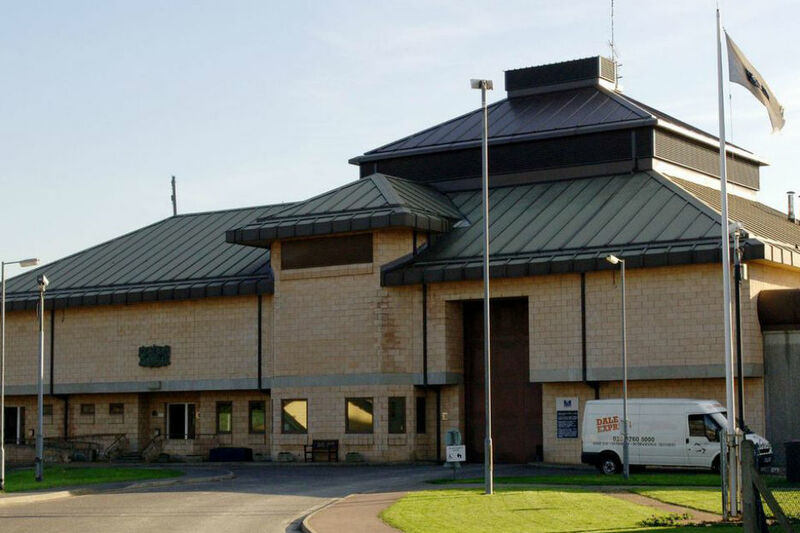 They also had direct lines of communication with the Director-General of Prison Reform and the Chief Executive of the Prison and Probation Service. The team monitored the recruitment programme prison by prison, tracking each candidate’s progress through the application, and identifying bottlenecks through the data produced by the process. Operational intelligence and applicant insight was used to support the data analysis. As this third priority suggests, the delivery of high-quality, timely evidence by the Data and Insight team has been fundamental to the programme’s success. As well as ensuring that the key decisions were data-driven, it was vital to winning the confidence of ministers, the MoJ executive committee and senior HMPPS leaders. The data that supports the programme spans over a hundred prisons, thousands of prison officer posts and vacancies across the system, and thousands of applicants entering the multi-step application process. “It was vital we did this [compiling the database] at pace, to inform investment and geographical media targeting decisions. It was also crucial for our operations teams to identify and deal with the bottlenecks in the application process,” commented Will Rose, MoJ Deputy Director for Data and Insight for Human Resources. Discussions with recent applicants and recruits from a previous campaign were revealing. 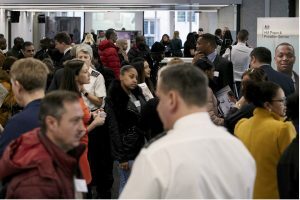 While they were aware of frequent negative news coverage about prisons and the stark challenges facing prison officers, they said they didn’t hear many positive messages. Learning from this, the campaign showcased professionals at work in prisons and emphasised the positive aspects of the role. These included the variety, professionalism and teamwork; the opportunities for training and career progression; the benefits of Civil Service employment; the pride and satisfaction in a socially valuable job; and the opportunity to turn offenders’ lives around. Postcode analysis of recent recruits also revealed that prison officer recruits are likely to come from social groups classified under the Mosaic system as: Aspiring Homemakers, Family Basics, and Transient Renters. Campaign targeting proved a challenge. No professional qualifications are needed to be a prison officer. However, the less tangible qualities of judgement, integrity, resilience and strength of character are essential, as are good people skills. People with these qualities, not surprisingly, can be found in many different jobs. From a campaign targeting point of view, applicants join the prison service from a disconcertingly diverse range of organisations, sectors and disciplines – from ASDA to local sports clubs, from pubs to retail, call centres to the NHS, and from the British Army to Pizza Express. Alongside the paid-for activity came a renewed emphasis on low-cost and no-cost PR. The team did not have budget of TV campaign proportions, but they needed to raise the profile of the prison service, change misconceptions about the prison officer role, and put it on a level of esteem with that of a police officer. 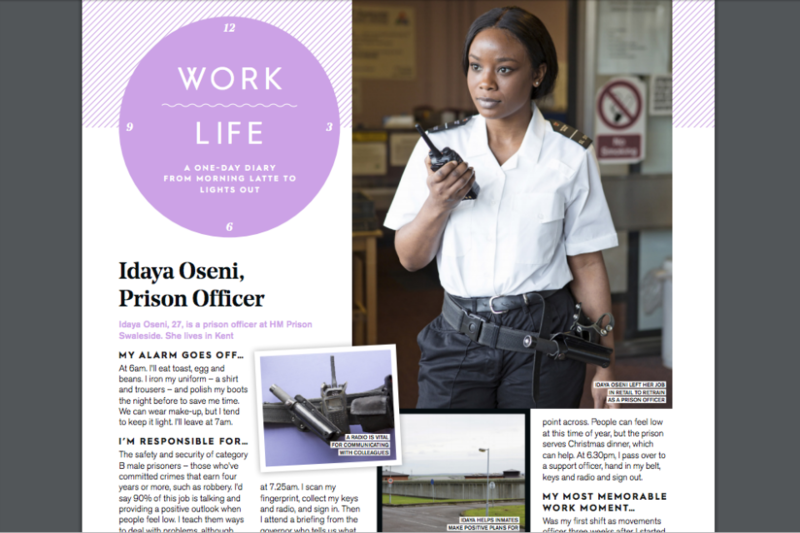 The MoJ campaigns team gathered human interest stories and identified a raft of media opportunities to showcase the good work prison officers do and build pride as well as attract applications. A feature placed in Stylist magazine, for example, used public media to challenge perceptions of the role. In partnership with prison governors, the marketing team ran high-intensity local recruitment pilots. These were targeted at specific prisons with pressing operational needs, like High Down, Belmarsh, Isis and, imminently, prisons in the Thames Valley, also in response to operational requirements. This ‘geo-targeting’, supported by pinpoint evaluation, was designed to help prioritise activity accurately and ensure that investment in media promotion was as cost-effective as possible. Regular monitoring and evaluation of how the campaign was performing was essential to this agile approach and to making the marketing more accurate. The team monitored everything from web hits to application completions and online test passes. And vacancy, retention and pipeline ‘demand’ data was used to inform the supply of applicants on a week-by-week, prison-by-prison basis. As soon as the campaign met the required applicant numbers for a particular prison, it could switch spend to where it was needed more. over a six-week period, the campaign attracted over 1,000 applications, with 104 prison officers successfully recruited. By the end of December 2017 the team could report a net gain of almost 2,000 additional prison officers. It is on track to meet the target of 2,500 significantly ahead of schedule. Approximately 40% of applicants responding to the campaign are female and 30% are of ethnic minority background. These results show that the campaign is appealing to a diverse group, moving away from the stereotypical idea of a prison officer. The marketing budget, approved by the Cabinet Office in December 2016, will be under-spent by around £1 million. The team is candid about what it got right and what needed fixing. The use of data was invaluable for marketing and resourcing. It also helped the team get a grip of strategic issues such as recruiting a more diverse workforce and understanding retention challenges. Because every prison faces a different recruiting challenge, and vacancy rates vary significantly across the estate, this recruitment campaign did not lend itself to simple solutions. The importance of working closely with operational staff in prisons to tease out the answers became a key priority. Team members built good working relationships with HMPPS that helped them understand the local issues and use relevant data to find solutions. As well as professionals from different specialisms working well together, the team collaborated with HMPPS to provide a better experience for job candidates. This extended from running prison tours, to ensuring a thorough familiarisation process for new joiners, from uniform, pay and security passes, to practical things like introduction to IT systems and ‘who do I ask for’. A local network of prison recruitment advisers was essential to making this work. 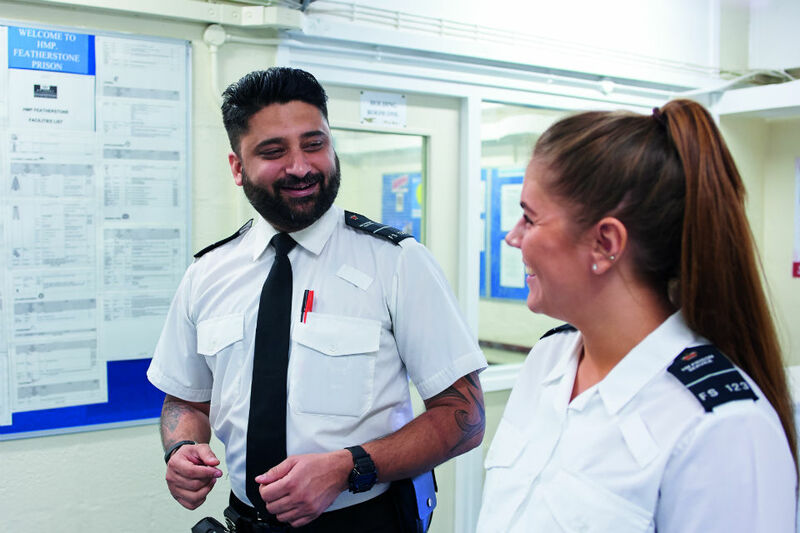 Campaign success in generating applications for prison officer roles can create its own problems, given the procedural requirements, including the need to vet new staff. Reducing the time it actually takes to hire people has preoccupied the programme team at a time when application numbers are growing and vetting times lengthening. This can be achieved by careful monitoring and use of data, tight contract management and juggling priorities. Lastly, the focus on locally targeted promotion, maximising low-cost and no-cost media and intensive PR alongside the paid for targeted media, was fundamental to the campaign’s efficiency and effectiveness. This approach is relevant to other major government recruitment campaigns. Looking ahead, it’s worth noting that, despite the net gain in prison officer numbers achieved by the campaign, gross recruitment figures are significantly higher. Current retention rates mean that around 2,000 new officers are required every year just to maintain numbers as well as to fill existing vacancies. MoJ and HMPPS also need enough officers to deliver a new offender management model. Retention and diversity need to be improved. The challenge the team has now is to adapt the successful campaign, make the approach 'business as usual', and to apply the learnings to the wider MoJ group recruitment and retention. An interesting read & surprising how the use of analytics data formed part of the strategy to target certain areas to assist in the recruitment. What would be good now is to hear from some of those recently recruited on their thoughts & impressions prior to commencement and now that they have been in for a short time.